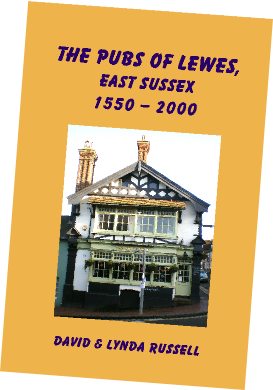 A new book by David and Lynda Russell, published September 2015, is The Pubs of Lewes, East Sussex 1550-2000, ISBN 978 0 9562 9179 0, price £14.99, featuring histories of fifty pubs and beer houses plus a register of licensees. At 322 pages it includes 186 photographs and illustrations. 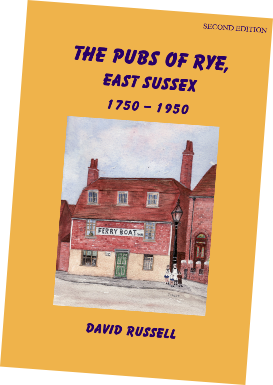 Meanwhile, David’s book, The Pubs of Rye, East Sussex 1750-1950, has now gone into its second edition, ISBN 978 0 9562 9178 3, price £13.99. At 286 pages, this fascinating and informative history of thirty-three Rye pubs also includes a register of licensees and research into the Rye Temperance Movement. Also in its second edition by the same author is The Swan, Hastings 1523-1943, ISBN 978 0 9562 9176 9, price £8.50. 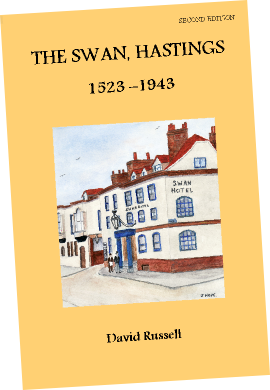 This is a 120 page history of the famous Hastings pub destroyed by enemy action in the Second World War. 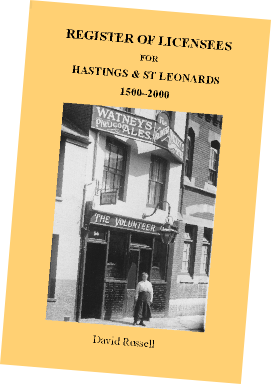 It was way back in the Winter 2009 issue of the Sussex Drinker that I ran a review of David’s book, The Pubs of Hastings & St Leonards 1800-2000. This is now in its third edition, including new research. Seventy-two pubs are featured, past and present in its 332 pages, which include 200 photographs and illustrations - ISBN 978 0 9562 9177 6, price £13.99. 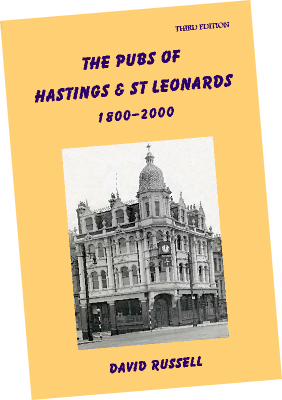 Finally, David’s Register of Licensees for Hastings & St Leonards 1500-2000, is now in its second edition, ISBN 978 0 9562 9752, price £8.50. At 138 pages, it contains some 4,400 names. It is the only listing of 341 public houses in the town and is a useful reference for family historians, pub historians and genealogists. All of the books can be purchased by Pay Pal from www.hastingspubhistory.com. 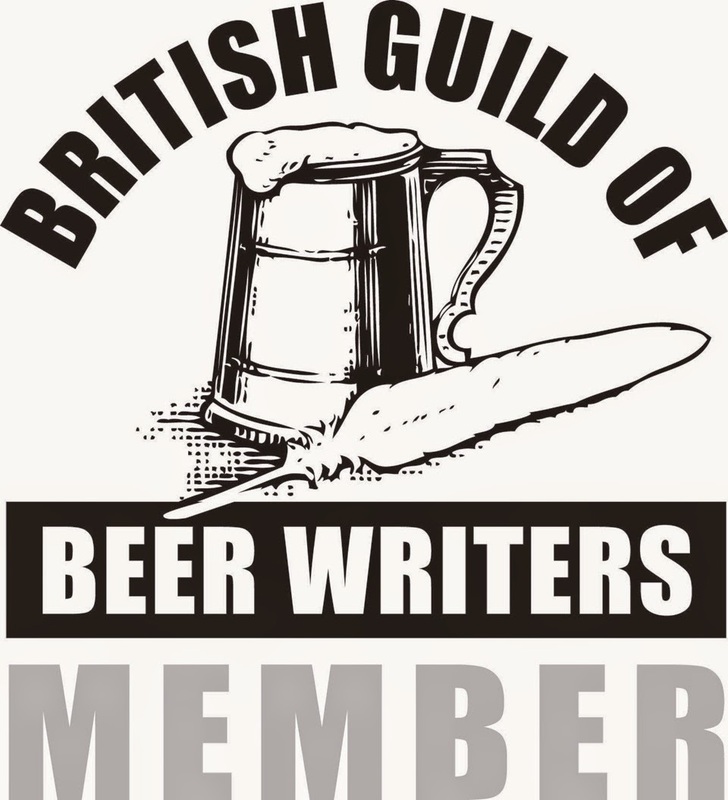 Otherwise email: hastings.pubs@gmail.com.